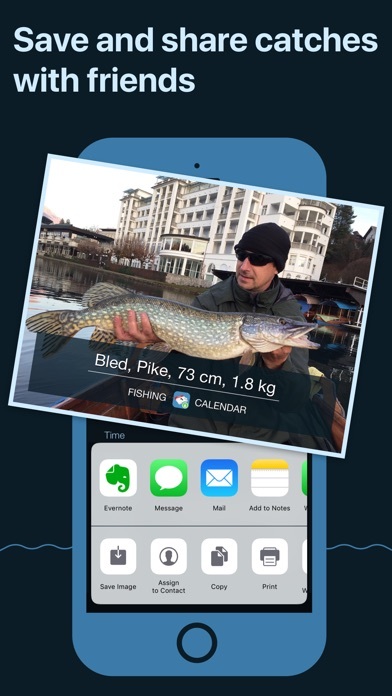 Fishing Calendar is an advanced Solunar prediction calendar that will help you find the best fishing locations. We know that the best bite times are when the fish are feeding, typically at dusk and dawn. But there are other factors to consider. 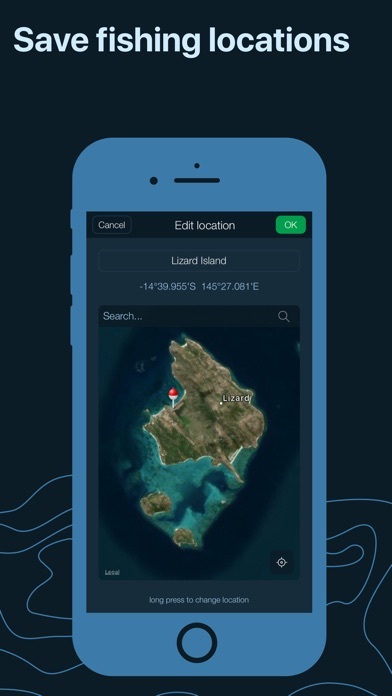 This app will show you the best fishing times for any location at any time using Weather forecast, Tide prediction and much more to help you increase your catch! 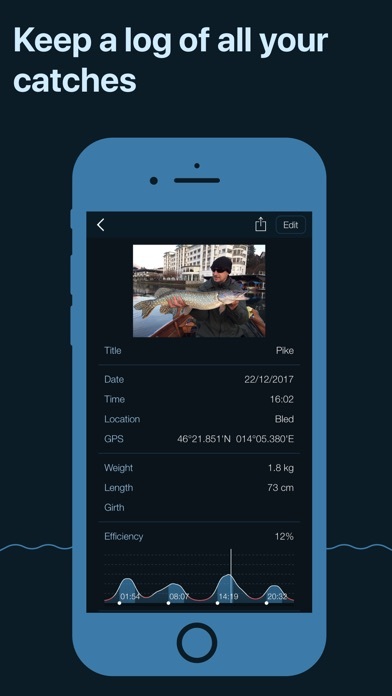 This powerful application allows you to take a photo of your catch, add description, size, weight, weather, bait, etc... to build your personal database and share it with your friends! 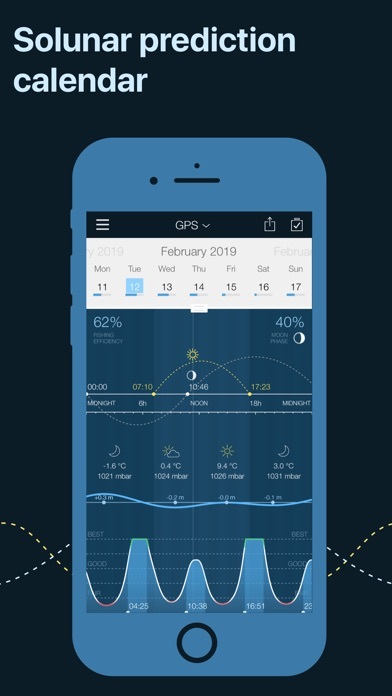 Some of the features: - Prediction of the best fishing times - Weather and tides - Infinite prediction calendar with Calendar share - Day, month and week view of fishing efficiency - Moonrise, moonset and moon overhead times - Moon Phase - Sunrise and sunset times - Minor and major periods - Worldwide calendar for any location - Imperial and metric units We promise – you will get “hooked” on the Fishing Calendar! Ive used this app for years now and it’s always helpful. I use it mainly to pick the best days to head offshore. The app does much more than that though. And, each update has made the app better. Great job!! 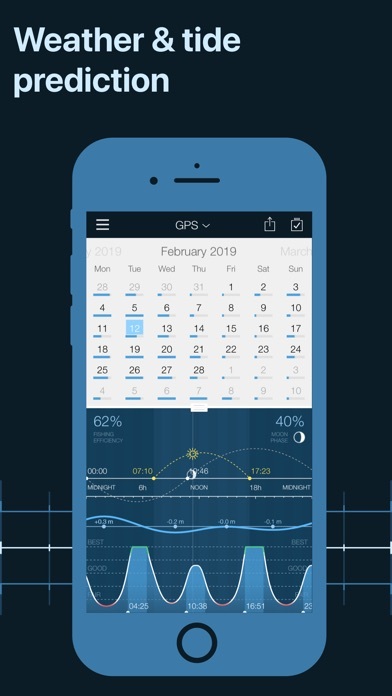 I have been using this application for several years and has been the greatest to quickly find it your moon phases. The newest update now takes away the majors and minors to simply see. It also doesn’t simply show the moon/sun rise and set times. How is this update an upgrade? You still cannot display “catches” images full frame, unless I want to edit or slide show. Cease and desist the location setting popup. This has always been my go to for key fishing lunar info... I use it even when planning to go up north for ice fishing. Lots of more details since the beginning. The app has been very accurate. i love this app on my phone! it is really accurate! 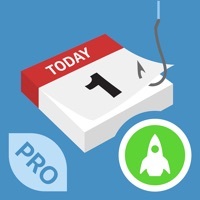 i am a guide in south florida and i always try to plan most of my trips on those 75- 100% days! try it you will see how accurate it is! Great way to know what’s going on with the lunar aspect of fishing.